*This is a sponsored conversation written by me on behalf of Pampers at Sam’s Club. The opinions and text are all mine. So often, we get so caught up in what we have going on in our lives that we don’t even take the time to notice what might be going around us. Life is so busy, there are always a million things to do and places to go. 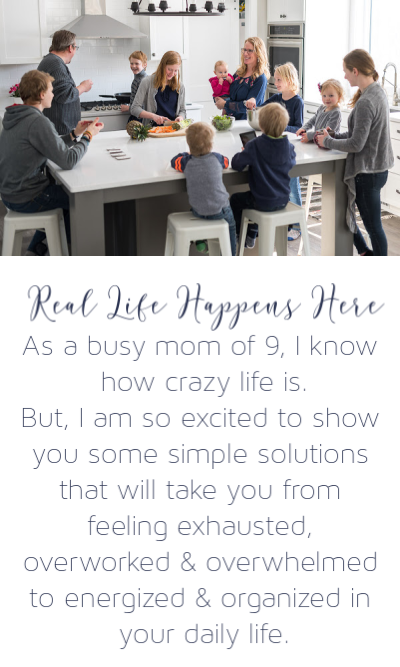 With a family of 10, I certainly feel the stress and strain of being busy. I know what it’s like to feel as though you never have enough time in the day to take care of myself or those around me. But, there are some really simple ways that you can make those around you feel special and even cared for. It’s just a matter of having a few ideas ahead of time so you’ll be ready to go when the moment strikes. Over the past 10 years or so, it seems like there have been more random acts of kindness happening around me. If you have never been on the receiving end of one of these kind gestures, I can tell you it is something you will never forget. Did you know that there is actually a Random Acts of Kindness Day? Yep, there is, and, it is right around the corner, on February 17th. What could be better than a day to focus on being kind to those around you than drawing attention to this during the month that we celebrate all things love and Valentine’s Day? With so much ugliness going on in the world, now is the perfect time to do some simple things for those around you. 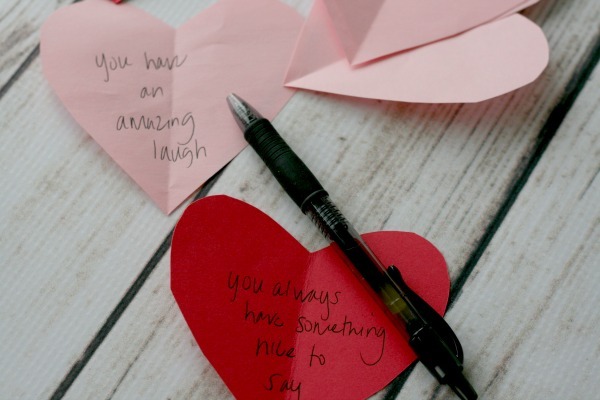 Here are some simple and creative random acts of kindness that you can do without spending much (or any!) money at all. So often driving and parking can be a source of stress. 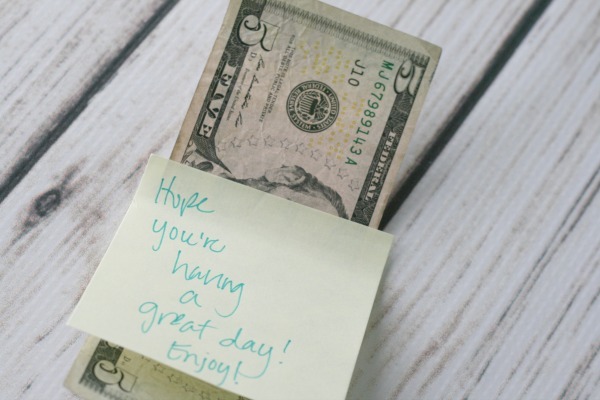 But, you can really make someone’s day by sliding a simple note under their windshield wiper that says something as simple as “Hope you’re having a great day!” If you have it, you can even slip a few dollars with the note. What a treat! Random acts of kindness can be shown to your family, too. One thing I love to do every so often is to leave my kids a simple note telling them one thing I appreciate about them on their pillow. It’s so simple, but it is so meaningful. Do you have a friend whose family has been sick for what seems like forever? What about someone you know who is just really struggling for some reason or another? 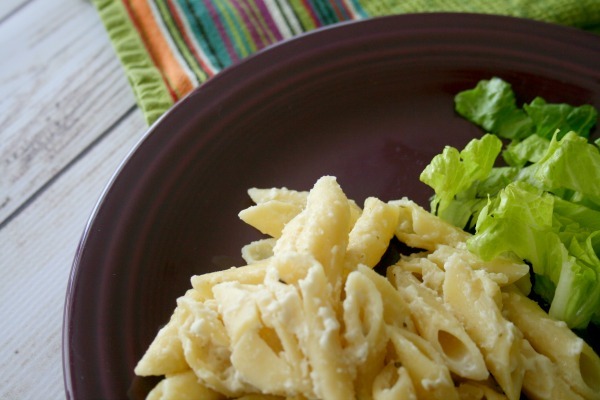 Taking someone a simple meal can be such a gift to that person, especially during a time when life is so difficult. There are so many places to volunteer in every community. If you’re not sure, do a simple search online to see where help is needed. Asking people you know is also a great way to find places that are in need of hands-on help. I have a friend who is adopted. Every year on her birthday, she donates blood as a way of giving back to the woman who gave her an amazing life by placing her with a loving birth family. If you are able, donating blood is a free activity that won’t generally take any longer than an hour and can bless others beyond measure. I have so many money saving tricks up my sleeve that allow me to buy so many things for pennies on the dollar. But, how much toothpaste can even a super-sized family like mine use? I love getting as many deals as I can on various things that we so easily take for granted, so I can donate them to a family or organization in my community. So often we think of donating either money or everyday items like non-perishable foods, toiletries, and even common clothing items like socks as well as hats and mittens in my neck of the woods. 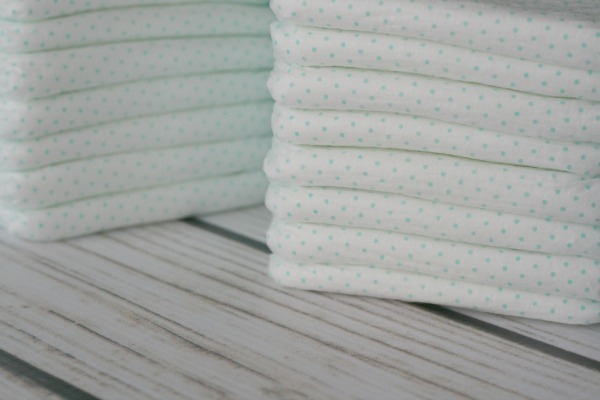 However, something that is needed and often forgotten about is diapers. As a mom to eight kids, I can say that the amount of diapers needed to care for little ones is astronomical. And, it can also be an enormous expense for families who might be struggling to make ends meet. But, little ones still need diapers no matter how hard it is to pay the bills. 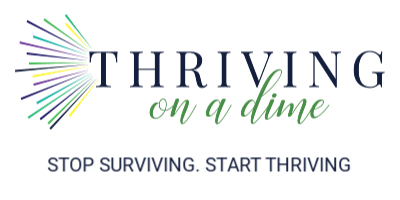 I am so excited to pass on a way that you can bless a family in a huge way while allowing you to save some serious money in doing so. 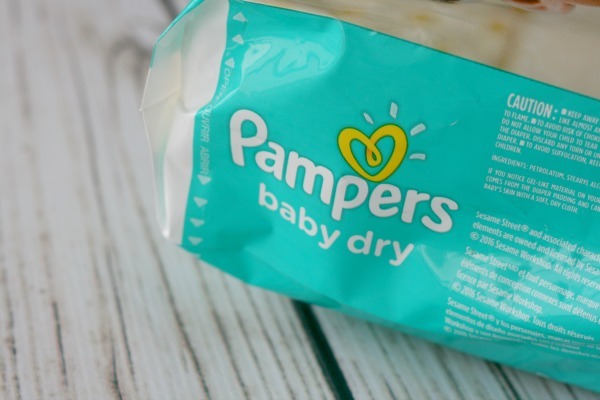 Right now, you can get an instant savings of $8 off two Pamper’s at Sam’s Club. The savings add up even more when you purchase $50 worth of Pampers and receive a $10 Sam’s eGift card for doing so. Then, donate the diapers you purchase to a local women’s shelter or mission organization. Sometimes these types of services are even provided by churches in your area. This is an incredible opportunity for you to celebrate Random Acts of Kindness Day in a more creative yet totally amazing way. Not having to stress about choosing to buy milk or to buy diapers for the baby will be a true gift to parents in need. 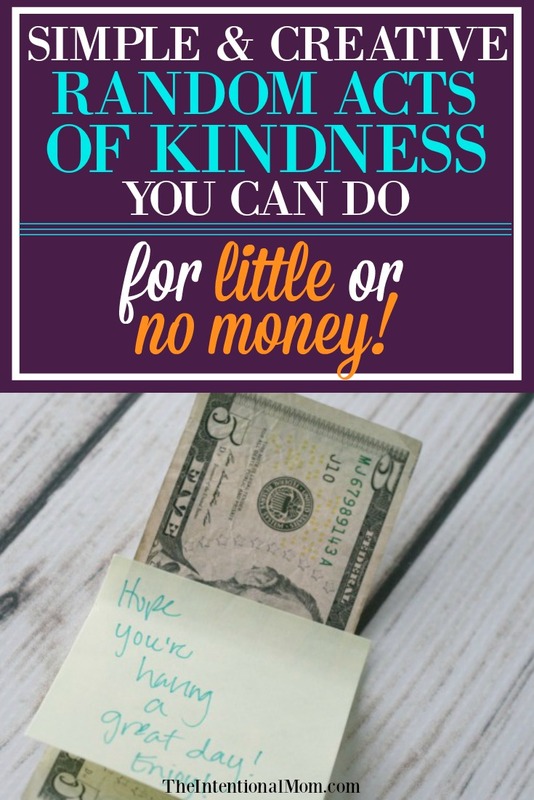 You can pay it forward in so many ways whether it is at a coffee place, a gas station, or even a restaurant. And, you can pay it forward with as little or as much as you can afford. I once had my coffee paid for, and I can say that it truly made my day. Actually, I think it made my entire month! Life is busy, but in taking the time to be kind to someone else, it is really you who are most blessed in the process. Random acts of kindness don’t have to be elaborate, and they don’t have to be expensive. But, these things can be just what someone else needs to turn their entire day (or month!) around. Whether in your own family, in your community, or on an even larger scale, being kind to others is always something you can feel good about.